Today, Google dropped a bomb. In the ashes and rubble you can find pieces of Apple TVs lying atop of melted and charred Xboxes – their curious Kinect eyes staring vacantly into the Roku rubble next to them. Blown up boxes of Boxees with “property of Samsung” stickers on them are scattered among some old, abandoned TiVos. In the center of the carnage, a single Logitech Google TV reaches its cord out, desperate for a plug – betrayed by its own brethren. It’s a gory sight, but a necessary one. Today, set-top boxes entered a new era. The Chromecast has arrived. Earlier today, Google unveiled its replacement for the set-top box, and it costs $35. You can already buy it here. Using the Chromecast is simple. Plug it in; connect it to your home Wi-Fi; and you can instantly stream YouTube, Google Play, Netflix, and Pandora from any Chrome browser, Chromebook, or Android/iOS device. 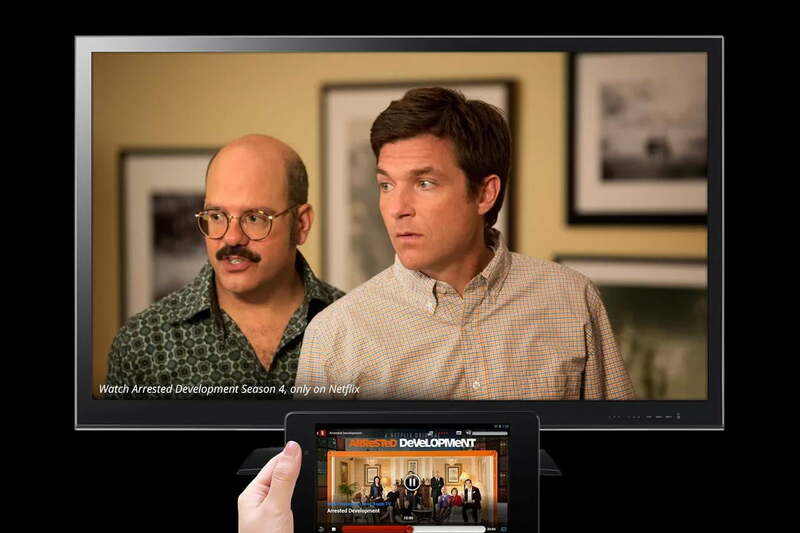 Streaming is as easy as clicking a little button on your screen. It won’t be long before we get support from apps like Hulu, HBO Go, Amazon Instant Video, Spotify, and more. You may ask: What’s so great about this? The answer is simple. It’s cheap! No, Chromecast can’t do a ton yet. Right now, it’s a glorified YouTube and Netflix player, but when you get down to it, $35 isn’t a bad price for dead-simple access to Netflix and YouTube. Yeah, both of these apps are already available everywhere, but if you’ve ever tried to search YouTube videos on an Xbox, you’ve likely already pre-ordered Google’s dongle. These online services are almost always easiest to use on a phone, tablet, or PC. The problem has always been: How do we find the best way for that device to communicate with our big-screen TV? There are solutions like AirPlay, but there always seems to be a catch – like having to own a household of Apple products – to get them to work. Chromecast is cheap enough that anyone can buy it as an afterthought. That’s the key. But that afterthought holds a lot of promise. 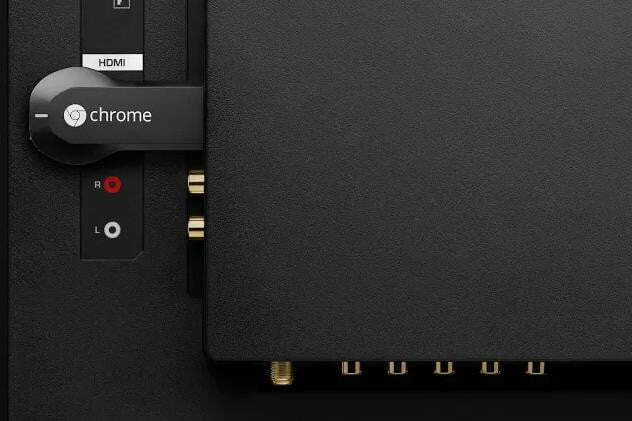 Instead of trying to lock users into Google devices, Chromecast is compatible with almost every type of computer: Windows and Mac PCs (via Chrome browser), Android tablets, Android phones, the iPhone, the iPod Touch, and the iPad. Unless you’re a BlackBerry or Windows Phone devotee, you’re all set. Soon you’ll be able to stream PC tabs from your Chrome browser, and because Google is releasing a developer kit, it won’t be long before we get support from apps like Hulu, HBO Go, Amazon Instant Video, Spotify, and more. The TV of the future may not have a set-top box beneath it. Instead, you may just have a TV you can control with every other device you own. It’s just another screen in the house. Maybe this is all hot air, though. Maybe no one wants a $35 dongle to stream Internet TV and music. That’s possible, but judging from the response inside the Digital Trends offices, Google may have a hit on its hands. Usually, everyone on staff says “oh, that’s cool” to new devices, but this time, a huge portion of us have already bought one. It even comes with three months of free Netflix. I’ve already purchased two of them and several other writers told me they were buying them today. Anecdotal, sure, but few products have gotten us to whip out our wallets so fast. Chromecast is exactly what the Nexus Q wasn’t. It’s cheap, it has a straightforward purpose, and it’s easy to use and set up. Google has learned a lot in a year. Some report that Google now accounts for 25 percent of all Internet traffic each day. If it keeps coming out with useful products like this, that number may grow substantially in the months ahead.